Store your oil in a clean plastic container. Containers are available at no charge; ask for one at a certified collection center. 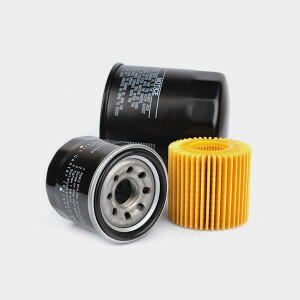 Drain oil filters for 24 hours. Place filters in a plastic bag or bucket. Do Not Mix Oil with the Following: Water, Gasoline, Kerosene, Anti-Freeze, Brake Fluid, Paint, Varnishes, Degreaser, and Paint Thinner. If oil is mixed with anything please dispose of it properly as Hazardous Waste.